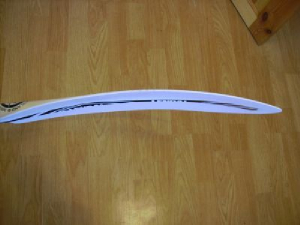 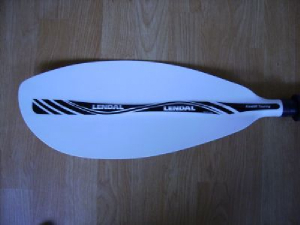 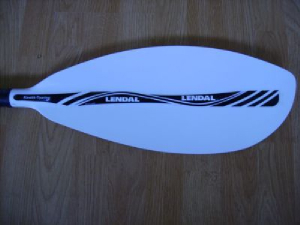 this is a right handed paddle 216cm lennth and a 60 degree feather,it has a carbon lightweight shaft. 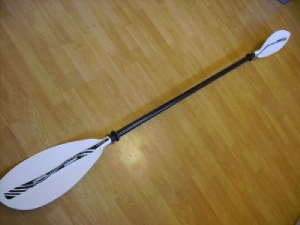 The Kinetik Touring White SF Blade is designed to be tip-heavy to load water quickly, giving rapid response to acceleration and manoeuvring strokes. 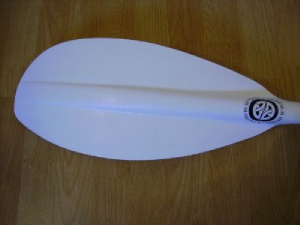 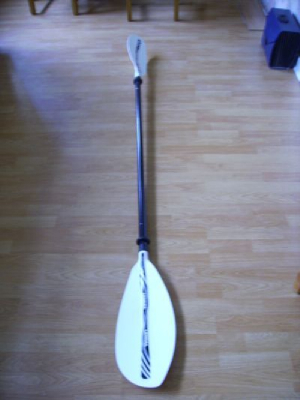 this paddle is nice and light and with the curve and the stiffnes in them it is easy to move a good amount of water on each stroke of the blades,to me this can be used as a great all rounder,I had no problems with this paddle at all I was out for 6 hrs and the paddle performed fantastically.